A noted Kabbalistic scholar and teacher uses the ancient tools of the Kabbalah to help readers realize their true joyous nature, providing methodology to destroy ego and begin transformative sharing. 50,000 first printing. $200,000 ad/promo. 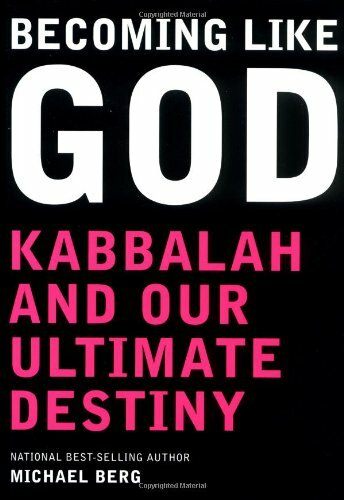 In his continuing work to demystify and teach the ancient, esoteric texts of Kabbalah, Michael Berg suggests that the time is right for people to break free of 'ego nature' and achieve total joy and immortality: in other words, to 'become like God'. Advising ruthless honesty about human life - its pain, suffering, and death - and then providing an escape plan based on those truths, Berg uses the tools of Kabbalah - such as the "Zohar", the key text of the discipline - as well as the collective energy of all the individuals sharing this path to help form that critical mass that will allow everyone to realise their true, joyous nature. This book gives readers the methodology to be applied at every moment to destroy ego, begin transformative sharing, and create a path to realise their true, godlike nature.